Instead of using push pops for baked treats, Kelly transformed them into sparkly bunny pop party favors, full of little prizes for Easter party guests. A unique way to use the push pops if you are more a party planner than a baker. These would be super fun for a preschool Easter party and we have two coming up! 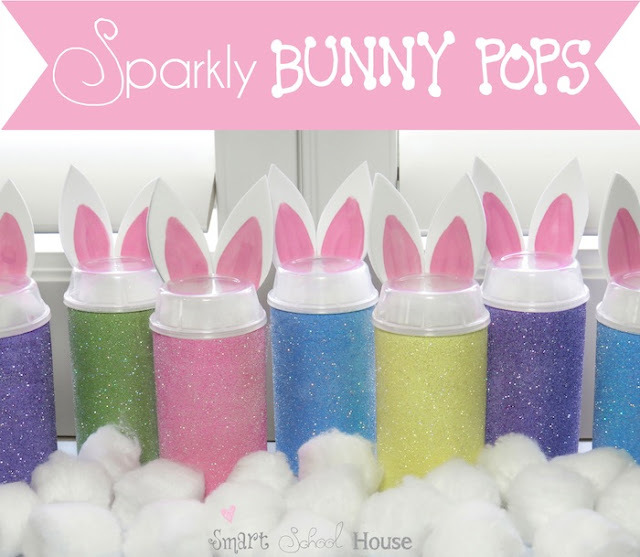 You can check out how to make Easter bunny push pops over at Smart School House. Talk about making my day! I was swinging by and the last thing I expected to see was my project up there front and center! I'm so grateful!!!! !